You'll also find cheaper costs on some of the in-game pets and mounts. Are you a 'Warcraft' player with friends that refuse to give it a shot? $5 gets you the Battle Chest that includes both the original game and the 'Burning Crusade' expansion. That's a $75 discount that works for both the digital and physical versions of the game. Did you lapse after 'Burning Crusade' and need to catch up? 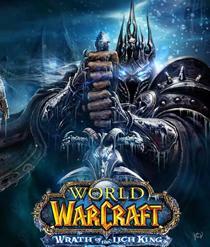 'Wrath of the Lich King' is selling for $10 instead of $40 while 'Cataclysm' runs $20. At these prices all you need to get completely caught up in WoW expansions is $35. If you're already a heavy WoW player or you're looking for a Christmas present for someone that is, you can check out the Pandaren Monk in-game pet or the Celestial Steed mount - both are being sold for at least half off.